Very Good. Trade paperback (US). Glued binding. 290 p. Contains: Unspecified. Alan M. Rugman explores alternatives to the popular model of increasingly globalized business, and explores the widespread evidence of regionalised business practice among the world's top 500 companies. 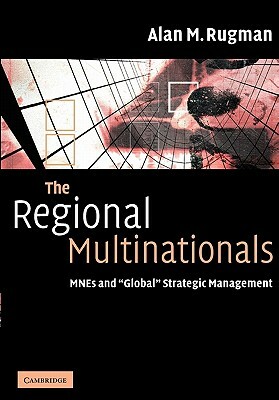 Detailed case studies and real-life examples flesh out the theory and practice of regionalisation in multinationals. New. 0521603617 Ships promptly from Texas.